April Business After Five- YMCA of Niagara! 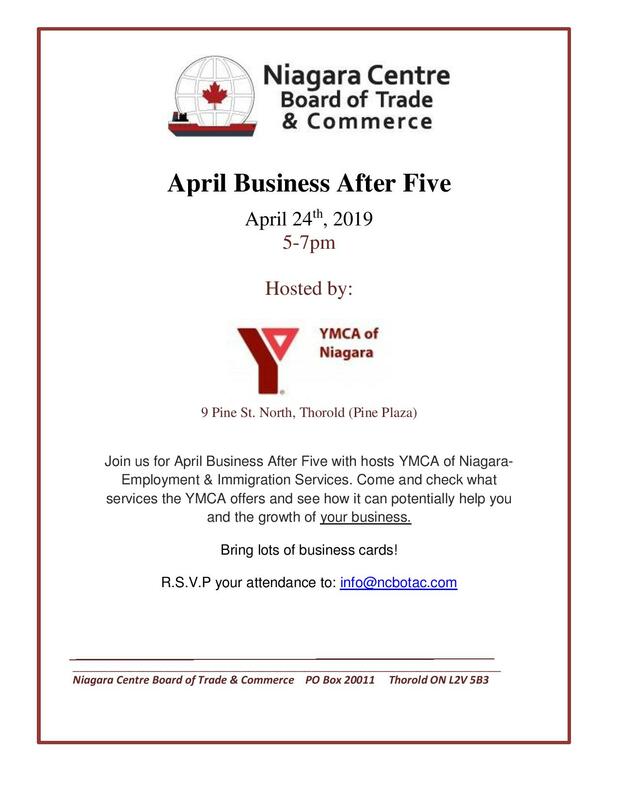 Join us for our April Business After Five with hosts YMCA of Niagara! Please view the below invitation for more information.